Most browsers behave well, although IE can set “none” if font-variant is set to “small-caps”. Keeping your page text as HTML makes maintenance easier and is better for SEO. Simple text effects can be implemented without graphics using letter-spacing to reduce or increase character spacing by fixed amount (px, em, ex, %, etc) e.g. word-spacing is similar except that it affects the spacing between words rather than characters. text-indent defines the left indentation of the first line in a block of text (or the right indentation if direction is set to “rtl”), e.g. This property often appears redundant because similar effects can be achieved with padding. However, text-indent does not effect the element’s width, so it can be useful in situations such as IE-compatible menus where the whole block is clickable, e.g. Tables are still required for tabular data, but styling column widths can be difficult when the browser’s default setting for table-layout is “auto”. The automatic algorithm may override your specified table width if a cell’s text requires more room. Setting table-layout to “fixed” forces the browser to adhere to the table width you specify. 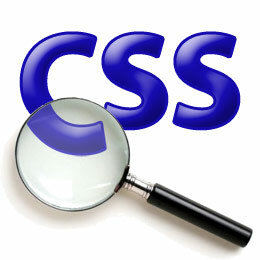 Full details of the algorithms can be found on the SitePoint CSS reference table formatting page. However, we would prefer all row heights to be consistent and long text to be cropped (perhaps because we are implementing a JS tooltip to show the skills in full). Setting a CSS height on tr or td elements does not work, but we can use white-space instead, e.g. Have I missed your favourite rarely-used CSS?